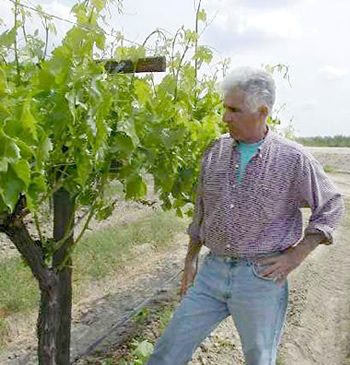 Joe and Johnni Soghomonian's 540-acre ranch is located near Fresno, in the California Central Valley. Joe has been a farmer all his life working on his parents’ farm from early childhood, eventually taking over the farm and growing it to its current size. Joe and Johnni’s daughter, Natalie, joined her father after graduating from college and now supervises all their harvest and farm crews as well as being in charge of payroll. She can even be found on the tractor helping out in the field. Famous for their Champagne Grapes, the Soghomonians also grow several varieties of table grapes as well as wine grapes that they invite you to enjoy.